This was one of the first photographs taken with my new Sony A77 II. The first few didn’t come out all that well as I was unfamiliar with the camera and had changed some of the settings (most notably setting up back button focusing) and found myself reaching for buttons in the wrong places. It didn’t take me long to get up to speed though. 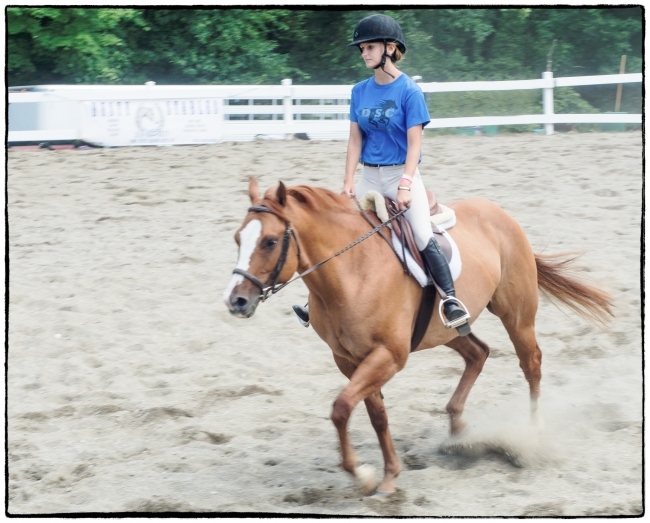 I like this picture because the rider is pretty much in focus, but parts of the horse (e.g. the hoofs) aren’t. The blur around the feet of the horse, and the dust being kicked up gives a sense of motion that I like. Taken with a Sony A77 II.